In this review of Easy Cash Club I’ll be going over everything you need to know about before joining. Will you actually be able to make anywhere near $379 per day, or are they just lying to you to get your money. Is Easy Cash Club Recommended? : No! At first he makes it seem like it’s some software that you turn on, walk away from and then come back to thousands of dollars. A little bit later in the video after spending a bit too much time bragging about how much money he makes, he gets into what it really is. Apparently it’s a software that allows you to easily an quickly make YouTube videos that will earn you tons of cash. However that isn’t exactly how it’s going to work, and I’ll be getting into why shortly. Even though the sales video makes it seem amazing, there are certainly some bad things about it as well. Throughout the rest of the review I’ll be going further in depth about all of the points that I listed out above. Literally the moment I arrived on the Easy Cash Club website I knew that I was going to have to make this a con. Throughout the whole video this so called “Steve” guy makes it seem like you’ll just start making money without doing anything. 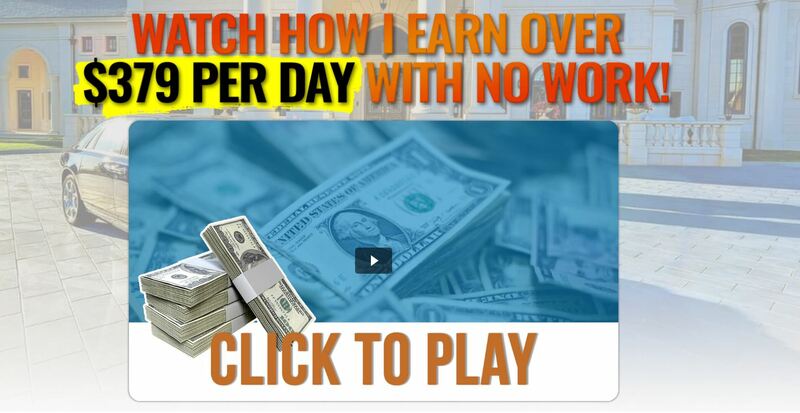 He claims that you just have to spend around 30 minutes per day working, and his software does everything else. Next thing you know you’ll be rolling in dough while on vacation. Don’t get me wrong, it’s certainly possible to make good money online, however there is no software that’s going to do it for you. Not to mention it’s certainly not going to happen overnight without you doing any work. For some reason there is this common belief that being a YouTuber is an easy route to success. Well that couldn’t be further from the truth. While this software may help you create quick and easy videos, they are going to be low quality videos that hardly anyone will watch. Let’s put it this way, most YouTubers say that they make about $1 per every 1000 views they get. Some earn more and some earn less. With that being the average, you would have to get about 379,000 views everyday in order to make that much. While there are people on YouTube who earn thousands of dollars per day, they get millions of views. They have spent years creating unique, entertaining, and high quality content. That’s simply not going to happen with the poorly made videos this software will produce. Another reason I know that this software isn’t going to make you money quickly is because YouTube has a barrier. You have to have a minimum of 1000 subscribers, and thousands of watch hours before you can even monetize your videos. Not to mention once you reach that threshold, you might not even get approved for advertisements if they don’t like your content. Now that I’ve gone over the reasons why I’m certain this system won’t work as good as they claim. I want to take some time to go over some of the crappy and “scam-like” tactics they use to try to get your money. One of the first things I want to point out is the fact that they use fake testimonials at the bottom of the page. They use both stock images, and random photos of people they probably pulled from Google. Don’t trust those testimonials because I’m almost positive that they are fake. The last but not least problem I have with Easy Cash Club is the price of the system. While they claim under the video that you can get access to the software for completely free, they want $37 for it. However it doesn’t stop there. After purchasing it you’ll be hit with a barrage of products that they try to tack on. These products range in price from $47 up to $97 and one of them even includes a recurring monthly payment. At the end of the day, it’s up to you to decide whether or not you want to call Easy Cash Club a scam. The sales page tries to lie, and mislead you into purchasing something that’s not going to be anywhere near as good as they claim. However you will technically be getting a software that can help you make YouTube videos, and could potentially make you some money. However it’s not going to be anywhere near as much or as quick and easy as they claim. Regardless of whether or not you want to call it a scam, I still do not recommend purchasing it. If you’re interested in making money online, and you’re willing to put in the time and effort it takes, I have a suggestion for you! My Top Ranked Program gives you all of the training, tools, and support you need to make money online! Since joining their system I’ve been able to build an online income that has allowed me to quit my job and work completely from home! I want to make it clear that it’s not a “get-rich-quick-scheme,” it’s a training program and tools platform. They give you everything you need to succeed, but you have to actually do the work. Is Easy Cash Club A Scam? What Do You Think? Let Me Know In The Comments Below! Posted in Bad Reviews, Get Rich Quick Schemes Tagged Easy Cash Club, Is Easy Cash Club A Scam?, What Is Easy Cash Club? I’m glad I was able to help you out. 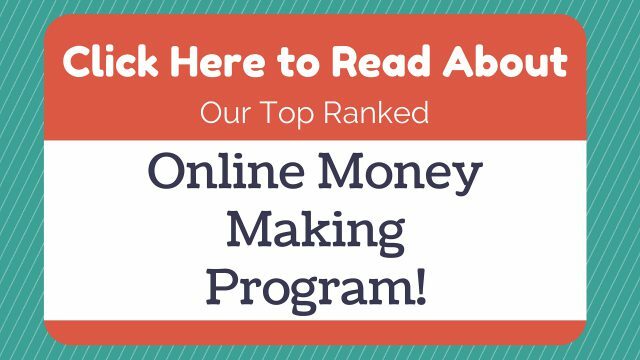 If you’re looking for a legitimate place to learn how to make money online, I’d suggest checking out My Top Program Here. It’s completely free to get started (no card info required), however if you like it and want access to everything they offer you will have to pay some money. I just suggest giving it a try for free, and deciding if it’s worth it for yourself.